Every once in a while, I’m asked to create projects for my work. It’s not too, too often, but usually it is in association with my favorite holiday…you guessed it Halloween! Anyway, here’s one of the cute projects I created using Puffy Paint that’s a hybrid Day of the Dead/Halloween creation I wanted to share. We make TONS of projects for everything from packaging, tradeshows, presentations, and more and not everything moves forward. This was one such project, but it was too adorable not to share! It blends together my love for Halloween and the Mexican holiday Day of the Dead or Dia De Los Muertos as it is known in Mexico. It is celebrated on November 1st and 2nd and honors family members who have died, while celebrating their life in a fun, colorful way! Here’s a video by my friend Kathy Cano-Murillo, a.k.a. The Crafty Chica, explaining the celebration. 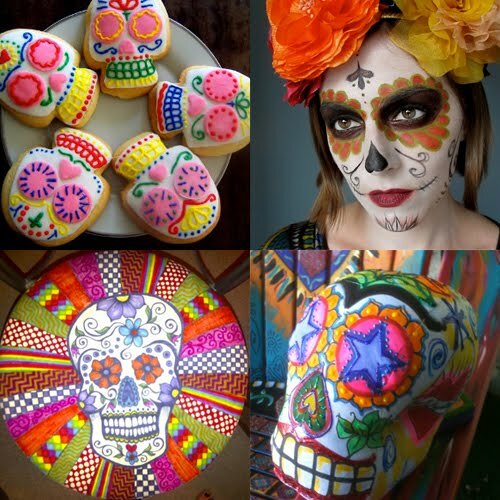 She also shows a lot of fun Sugar Skull Ideas! I love how crafty Dia De Los Muertos is. Here’s some of my fave Sugar skulls I’ve seen!!! 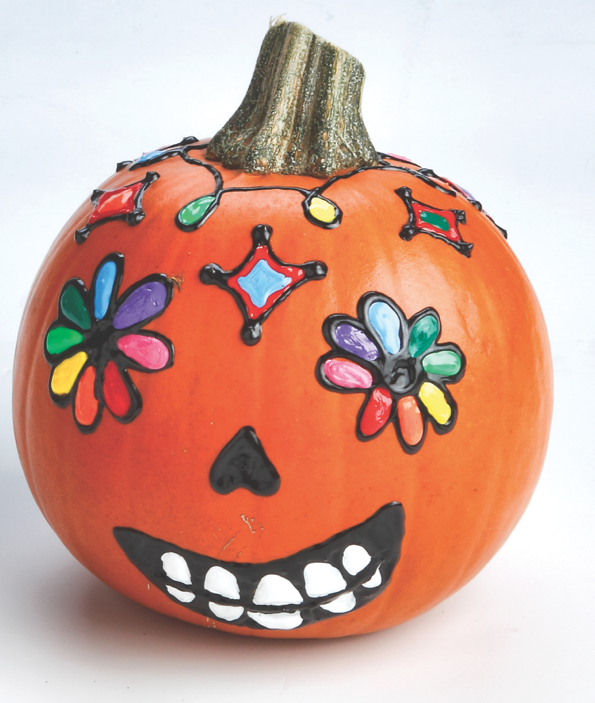 Do you celebrate Dia De Los Muertos each year? Last year was the first time that I participated in any festivities (at a local coffee shop here in Fresno) . It was really cool!